Delirium is a common but serious complication of hospitalisation. Delirium can occur in patients of all ages, but the highest incidence is in older patients (>65 years) (MacLullich et al. 2008). The term delirium derives from the Latin word ‘delirare’ which means “deviates from a straight track” and was documented in the writings of Hippocrates around 2,500 years ago (Lipowski, 1990). 5) The disturbance is a direct psychological consequence of another medical condition (American Psychiatric Association, 2013). Delirium can be classified as either hyperactive, hypoactive, or a mixture of both (Boettger and Breitbart, 2011). The following table describes the main characteristics of each type of delirium. At any one time there will be at least one patient with delirium in a general medical, surgical or orthopaedic ward (Schofield, 2008). Incidence of delirium can range between 3-29% in the medical setting (Siddiqi et al. 2006), up to 80% in the ICU setting (Ely et al. 2004) and around 9-87% in general surgical settings depending on both the patient population and the degree of operative stress (Demuere and Fain, 2006). Incidence of delirium can be as high as 70% in residential aged care setting (de Lange et al. 2013). Delirium is a complex syndrome and may be caused by a number of physiological factors (Inouye et al. 2014). To effectively manage delirium it is important to be able to identify the cause so that it can be treated promptly. The DELIRIUMS acronym can be used to aid in the detection of the possible cause of delirium. Some medications are also known to have a high risk with the development of delirium including benzodiazepines and dopamine agonists. Other medications such as acetylcholinesterase inhibitors, antidepressants, digozin, narcotics and NSAIDs have been found to have a moderate to low risk with delirium development (Flaherty et al. 2003). Patients experience a range of poor outcomes as a result of developing delirium. Some of these include: functional decline, complications of longer hospital stays (McCusker et al. 2003), increased risk of admission to a long-term care facility (Voyer et al. 2006), increased falls (Lakatos et al. 2009), higher mortality and morbidity (Witlox et al. 2010) and increased risk of developing long term cognitive impairement (MacLullich et al. 2009). These outcomes are devastating for any patient that may have been functionally independent and living in their own home prior to developing the delirium. The Australian Commission on Safety and Quality in Health Care (ACSQHC) have prepared documents which outline ‘A better way to care’ for patients with cognitive impairment (dementia and delirium) in hospital (ACSQHC, 2014). The strategies in these documents can be linked to the NSQHC standards and have been prepared ready for the release of the Delirium Clinical Care Standard which was under public consultation in July 2015. Some strategies outlined in the following sections are recommended in the Better Way to Care publication. Even if the patient is exposed to potential causes listed in the DELIRIUM acronym, development of delirium may not always occur. Often, delirium develops in patients that also have a high level of vulnerability. The factors that can make a patient vulnerable to delirium are called predisposing and precipitating risk factors. Predisposing risk factors are already present on a patient’s admission t hospital, the most common being dementia (Inouye, 2006). Precipitating factors are those that occur during hospitalisation and can be more easily controlled by health professionals. Precipitating factors should be avoided if possible. Environmental risk factors can also impact on the development of delirium and include: multiple room changes, use of medical/physical restraints and the lack of a clock, watch and/or reading glasses (McCusker et al. 2001). Table 3 outlines the most common precipitating and predisposing risk factors for delirium. The ACSQHC recommends that health professionals should “be alert to delirium and the risk of harm for patients with cognitive impairment” (2014). This includes evaluating the risk of older people developing delirium by having a good understanding of risk factors for delirium. An impairment step in improving the care for older people in hospital is to “recognise and respond to patients with cognitive impairment” (ACSQHC, 2014). Cognitive assessments should be performed routinely for patients during admission to healthcare settings. This can provide clinicians with a baseline measurement of a patient’s cognition and thereby assist in the prediction of patients’ level of risk for delirium. A baseline cognitive assessment can also be used as a marker for improvements or declines in the patient’s cognitive function. Some recommended tools to perform cognitive assessments include: Mini Mental State Exam (MMSW), Abbreviated Mental Test (AMT), Mini-Cog, and Rowland Universal Dementia Assessment Scale (RUDAS). The Kimberley Indigenous Cognitive Assessment (KICA) is a specialised tool that has been developed to test cognition in indigenous Australian living in rural and remote areas (LoGiudice et al. 2006). Family members are also a valuable resource when performing cognitive assessments and should be able to provide information about the patient’s usual level of cognitive function. Cognitive assessment will need to be repeated if there is a sudden change in the patient’s level of cognition, the patient experiences deterioration in their condition overall, or there is a decline in their ability to perform ADL’s (ACSQHC, 2014). A decline in the patient’s cognition may indicate the presence of delirium and further tests should be conducted in order to diagnose delirium. The clinical detection of delirium can be challenging (Wong et al. 2010) and research has suggested that approximately 50-80% of people with delirium remain unrecognised (Young and Inouye, 2007). There are a number of signs that patients with delirium may exhibit including, difficulty focusing attention, memory impairment, disturbance of sleep-wake cycle, rambling speech, disorientation to place and time, agitation, sluggishness, and auditory or visual hallucinations (Inouye et al. 2014). Furthermore, if a patient develops delirium they may have difficulty maintaining or following conversation and may also become easily distracted. One way to test a patient’s level of attention is by asking them to state the days of the week or the months of the year backward *Meagher et al. 2015). If the patient is unable to sustain attention during this task, this may indicate a delirium and a formal assessment and diagnosis of delirium then may be required. The 4AT, is a recently developed tool which has been validated for use in international populations and can provide a rapid assessment for the presence of delirium and cognitive impairment (Bellelli et al. 2014). The tool was designed to be used by any health professional at first contact with the patient, and at other times when delirium is suspected. However, there are limitation with the 4AT as it has not been extensively tested in culturally and linguistically diverse backgrounds (CALD) populations. While not yet tested in the Australian population, the 4AT appears to be a tool that could assist in the recognition of patients with delirium. If possible delirium is indicated using the 4AT, additional diagnostic assessment is required. The Confusion Assessment Method (CAM) was developed by Inouye et al. (1990) and is the gold standard for delirium diagnosis. The CAM was developed to allow non-psychiatric physicians to quickly and accurately diagnose delirium (Wei et al. 2008). The diagnostic algorithm of the CAM is based on four features: acute onset and fluctuating course, inattention, disorganised thinking and altered level of consciousness (Inouye et al. 1990). Formal training to use the CAM accurately is highly recommended. Delirium can often be missed or misdiagnosed due to the presence of dementia. Often it is difficult to differentiate between delirium and dementia. If you ask the patient orientation questions, pay particular attention to how the patient answers the question. The delirious patient will often hive disorganised answers which may be rambling or incoherent. Patients with delirium will also have difficulty focusing attention during a conversation. Delirium can be prevented in up to one third of patients in hospital settings. Prevention of delirium using non-pharmacological multicomponent intervention is most appropriate (Inouye, 2014). Identification of patients at high risk for delirium and other potential precipitants is important to be able to target specific preventative strategies. Once potential risk factors have been identified, patients classified as moderate or high risk should have a number of preventative strategies implemented into their care. The following table outlines some of these strategies (Table 4). Once delirium has developed the application of standard procedures of behavioural and educational intervention is necessary to reduce the many consequences of delirium. Firstly, it is important to actively seek and treat the cause of the delirium (Burns et al. 2004). These may be as simple as eliminating all the precipitating factors e.g. treatment of infections (Kamholz, 2010). The management of delirium should also be directed at the relief of symptoms and providing supportive care to the patient until recovery. Therefore, it is necessary to develop and implement an individualised management plan in partnership with the patient, carer and family. Care strategies can include: providing individualised care, prevent/minimise harm, manage medical issues and modifying the environment (Table 5). One of the biggest issues nurses face is responding to the behavioural issues that a patient with delirium can exhibit. The management of patients with difficult behaviours during an episode of delirium should have the philosophy of providing a restraint free environment with mainly non-pharmacological interventions (Flaherty, 2011). The TADA approach can be useful in the management of patients with delirium. TADA stands for Tolerate, Anticipate and Don’t Agitate (Flaherty and Little, 2011). Tolerating behaviours can seem dangerous, but under close supervision, can allow patients to respond naturally to their situation (Flaherty, 2011). For example, a patient trying to get out of bed may indicate a desire to go to the toilet. Anticipating behaviours involves being prepared for what the patient might do. Some common behaviours that can be anticipated include pulling on things that are not usually there, such as IV lines. Techniques to avoid this include hiding the IV line and having a decoy IV line. Don’t Agitate is one of the most important factors of delirium management. Don’t agitate is a rule that comes from the recognition that there are many agitating events and objects in a hospital. Even reorienting can sometimes make a patient mad. So if it doesn’t seem to help it is best to stop doing it. Distracting or humouring the patient may be more helpful (Flaherty and Little, 2011). Dr Emily Tomlinson is a Lecturer of Nursing at Deakin University, Melbourne. Australian Commission on Safety and Quality in Health Care (ACSQHC) (2014). A better way to care: safe and high-quality care for patients with cognitive impairment (dementia and delirium) in hospital. Sydney. Bellilli, G., A. Morandi, D. Davis, P. Mazzola, R. Turco, S. Gentile, T. Ryan, H. Cash, F. Guerini, T. Torpillesi, F. Del Santo, M. Trabucchi, G. Annoni and A. MacLullich (2014). Validation of the 4AT, a new instrument for rapid delirium screening: a study in 234 hospitalised older people. Age and Ageing. Boettger, S. and W. Brietbart (2011). Phenomenology of the subtypes of delirium: phenomenological differences between hyperactive and hypoactive delirium. Palliative & Supportive Care 9(2): 129-135. Cull, E., B. Kent, N. Phillips and R. Mistarz (2013). Risk factors for incident delirium in acute medical inpatients. A systematic review. JBI Database of Systematic Reviews and Implementation Reports 11(5): 62-111. Demeure, M. and M. Fain (2006). The elderly surgical patient and postoperative delirium. J Am Coll Surg 203(5): 752-757. Ely, E., A. Shintani, B. Truman, T. Speroff, S. Gordon, F. Harrell Jr, S. Inouye, G. Bernard and R. Dittus (2004). Delirium as a predictor of mortality in mechanically ventilated patients in the intensive care unit. JAMA 291(14): 1753-1762. Flaherty, J. H. (2011). The evaluation and management of delirium among older persons. Med Clin North Am 95(3):555-577, xi. Flaherty, J. H. and M. O. Little (2011). Matching the Environment to Patient with Delirium: Lessons Learned from the Delirium Room, a Restraint-Free Environment for Older Hospitalized Adults with Delirium. Journal of the American Geriatrics Society 59: S295-S3000. Flaherty, J. H., S. H. Tariq, S. Raghavan, S. Bakshi, A. Moinuddin and J.E. Morley (2003). A model for managing delirious older inpatients. Journal of the American Geriatrics Society 51(7): 1031-1035. Inouye, S. (2006). Delirium in Older Persons. The New England Journal of Medicine 354(11): 1157-1165. Inouye, S., C. H. van Dyck, C. A. Alessi, S. Balkin, A. Siegal and R.I Horwitz (1990). Clarifying confusion: the confusion assessment method. A new method for detection of delirium. Annals of Internal Medicine 113(12): 941-948. Inouye, S., R. G. Westendorp and J. Saczynski (2014). Delirium in elderly people. The Lancet 383(9920): 911-922. Lakatos, B., V. Capasso, M. Mitchell, S. Kilroy, M. Lussier-Cushing, L. Sumner, J. Repper-Delisi, E. Kelleher, L. Delisle, C. Cruz and T. Stern (2009). Falls in the General Hospital: Association With Delirium, Advanced Aged and Specific Surgical Procedures. Psychosomatics 50(3): 218-226. Lipowski, Z. J. (1990). Delirium: Acute Confusional States. New York, Oxford University Press. LoGiudice, D., K. Smith, J. Thomas, N. Lautenschlager, O. Almeida, D. Atkinson and L. Flicker (2006). Kimberley Indigenous Cognitive Assessment tool (KICA): development of a cognitive assessment tool for older indigenous Australian. International Psychogeriatrics 18(02): 269-280. MacLullich, A., A. Beaglehole, R. Hall and D. Meagher (2009). Delirium and long-term cognitive impairment. Int Rev Psychiatry 21(1): 30-42. MacLullich, A., K. Ferguson, T. Miller, S. de Rooij and C. Cunningham (2008). Unravelling the pathophysiology of delirium: A focus on the role of aberrant stress responses. Journal of Psychosomatic Research 65(3): 229-238. McCusker, J., M. Cole, M. Abrahamowicz, L. Han, J. Podoba and L. Ramman-Habbad (2001). Environmental risk factors for delirium in hospitalized older people. Journal of the American Geriatrics Society 49(10): 1327-1334. McCusker, J., M. Cole, N. Dendukuri and E. Belzile (2003). Does delirium increase hospital stay? American Geriatrics Society 51(11). Meagher, j., M. Leonard, L. Donaghue, N. O’Regan, S. Timmons, C. Exton, W. Cullen, C. Dunne, D. Adamis, A. MacLullicj and D. Meagher (2015). Months backward test: a review of its use in clinical studies. World Journal of Psychiatry 5(3): 305-314. Potter, J. and J. George (2006). 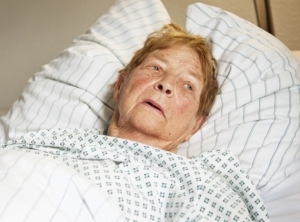 The prevention, diagnosis and management of delirium in older people: concise guidelines. Clinical Medicine 6(3): 303-308. Schofield, I. (2008). Delirium: Challenges for clinical governance. Journal of Nursing Management 16(2): 127-133. Siddiqi, N., A. House and J. Holmes (2006). Occurrence and outcome of delirium in medical in-patients: a systematic literature review. Age and Ageing 35(4): 350-364. Voyer, P., M. Cole, J. McCusker and E. Belzile (2006). Prevalence and Symptoms of Delirium Superimposed in Dementia. Clinical Nursing Research 15(46): 46-65. Wei, L., M. Fearing, E. Sternberg and S. Inouye (2008). The Confusion Assessment Method: A Systematic Review of current usage. Journal of the American Geriatrics Society 56(5): 823-830. Witlox, J., L. Eurelings, J. de Jonghe, K. Kalisvaart, P. Eikelenboom and W. Van Gool (2010). Delirium in Elderly Patients and the Risk of Postdischarge Mortality, Institutionalization, and Dementia. JAMA: The Journal of the American Medical Association 304(4): 443-451. Wong, C., J. Holroyd-Leduc, D. Simel and S. Straus (2010). Does this patient have delirium? Value of bedside instruments. JAMA: The Journal of the American Medical Association 304(7): 779-786. Depression: Who's nursing the nurses?